Three episodes cut from the planned 13? Swamp Thing casts its Blue Devil! This is not a drill! I have loved this character for thirty years! 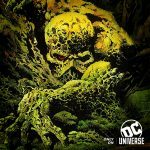 Has DC Universe cast its Swamp Thing? Not one for the kids, then? SDCC: Guillermo del Toro talks about Pacific Rim 2 and Justice League Dark! Mr. del Toro gives us details on Pacific Rim 2 and Justice League Dark! This continues to be one of the most stellar creative teams in all of comics! 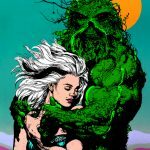 Swamp Thing is one of the most consistently amazing titles month after month! An origin story is revealed! The battle between Swamp Thing and the Seeder begins!!!! Soule adds even more kindling to the fire he started on Swamp Thing! Read about one of the best and brightest writers in comics! Charles Soule is out to prove himself with Swamp Thing. Soule picks up where Snyder left off without a hitch.